Published September 20, 2014 at 500 × 750 in A Special Breed of Crazy. During winter months when other calls tend to slow down, Garth makes a focused effort to follow up on all unlicensed dogs. First, he attempts to make contact by phone to notify the owners they must have the dog licensed within two weeks or be issued a summons. 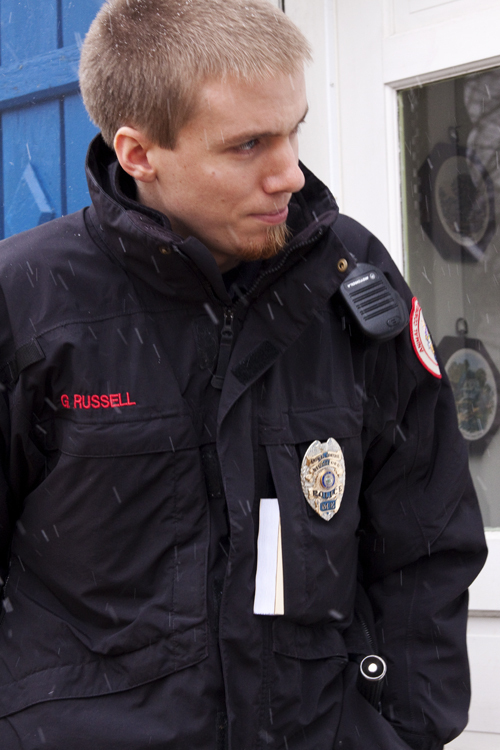 If the dog remains unlicensed after two weeks, Garth goes to the owner’s home to follow up in person; thus some cold winter days involve lots of knocking on doors.